The builds for all these kits will be covered here over the next few months, as well as many others. 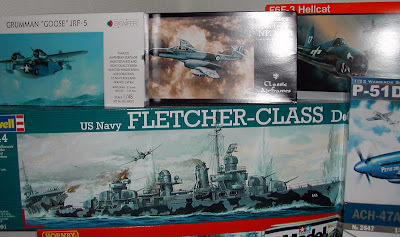 For instance, the F4F-4 Wildcat from Hobby Boss, more on the Hind Gunship, Hasegawa's Ki-61 'Tony' in 1/32 scale and the H.S. Buccaneer from Airfix in 1/48 . These will not all be straight out of the box builds - most will get quite a few modifications. 2009 offers a packed programme - lots of proper modelling, lots of variety and me waxing lyrical about my favourite aspects. Feel free to join in. ....But it's 25 years old!